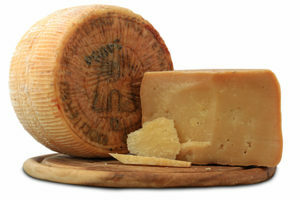 The Canestrato di Moliterno is cheese produced in Moliterno in the province of Potenza, made of sheep and goat’s milk. 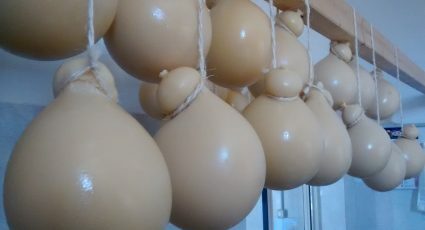 The cheese has a soft and fairly fatty consistency that is ivory coloured, its flavor is strong, leaning towards spicy. Canestrato di Moliterno IGP pairs well with fresh, raw vegetables and pears. The older cheeses can be grated onto pastas with meat sauces or soups. The cheese is paired often with a complex red wine, such as Aglianico del Vulture DOC.